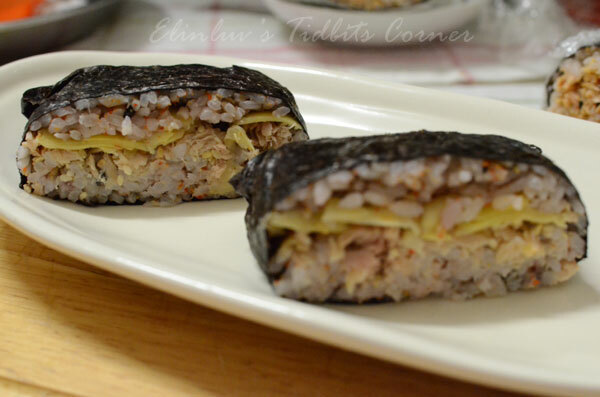 I have been wanting to make Onigirazu ( Sushi Sandwiches ) for a very long time and because of my travelling up and down to KL to spend time with my daughter, I keep postponing it . 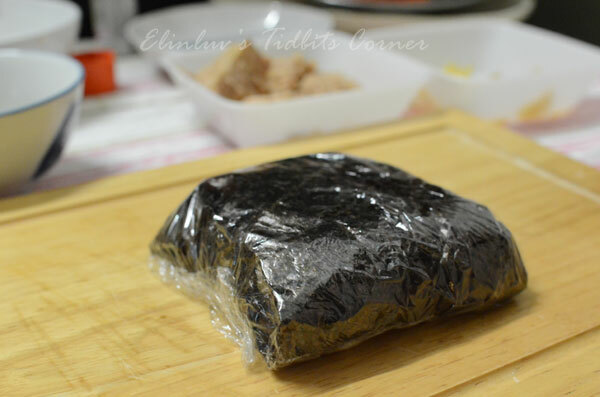 Yesterday , I had some free time and decided to make some onigirazu for dinner. Both Wildboar and myself thought that something light like Tuna Onigirazu would be great for dinner since we wanted something light. My first time making origirazu. 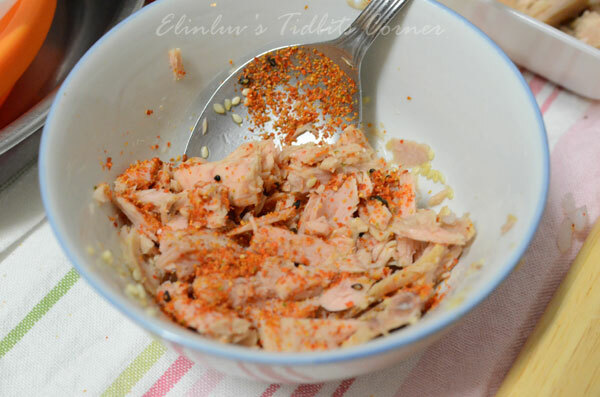 I have a tin of Tuna Chunks and is perfect for making Tuna Onigirazu. Flavored sushi rice would be great for making Tuna Onigirazu. 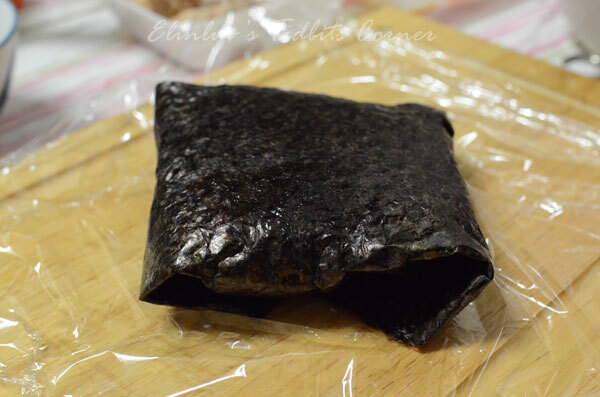 I used Japanese Shichimi chilli ( comprises of chilli, chenpi, black sesame , poppy seed, herbs, Japanese pepper and green dried seaweed ) to season the sushi rice. 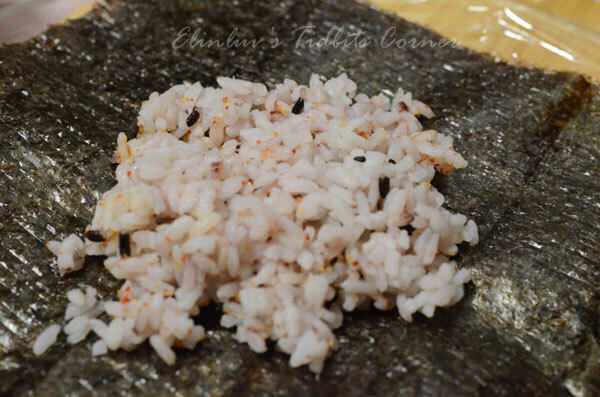 And I also use toasted white sesame seeds to flavor the sushi rice. So I have two different sets of flavored sushi rice . Both has tuna fillings. 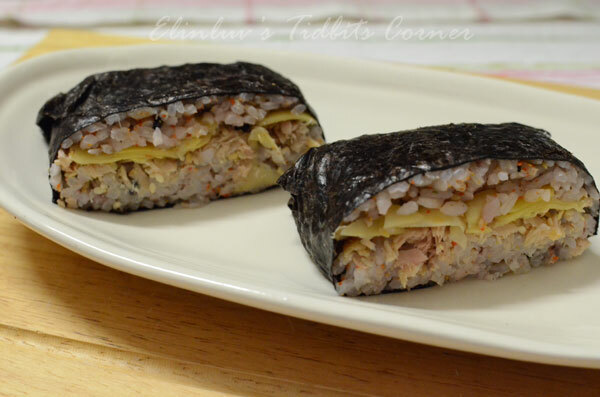 I make tow types of tuna fillings. 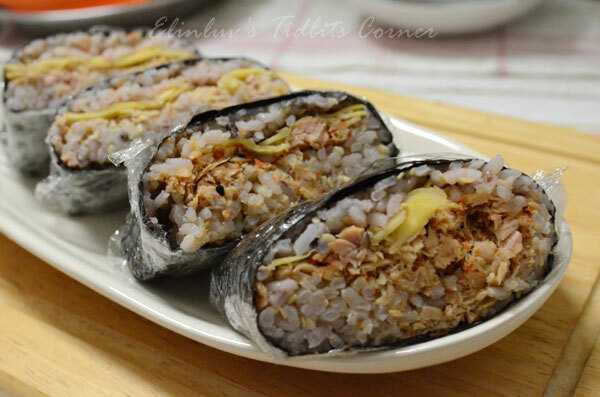 One tuna fillings is with shichimi chilli and the other tuna filling is with toasted sesame seeds. I have two different sets of tuna origirazu. It is easy to make and taste delicious too. Great for bento food. used to flavor the sushi rice and tuna fillings. and lightly pat it down. completely wrapped in the nori. 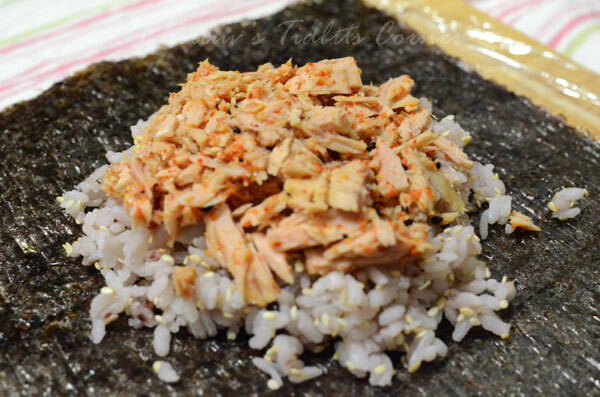 Cling wrap the Tuna onigirazu and set it aside for 5 minutes. 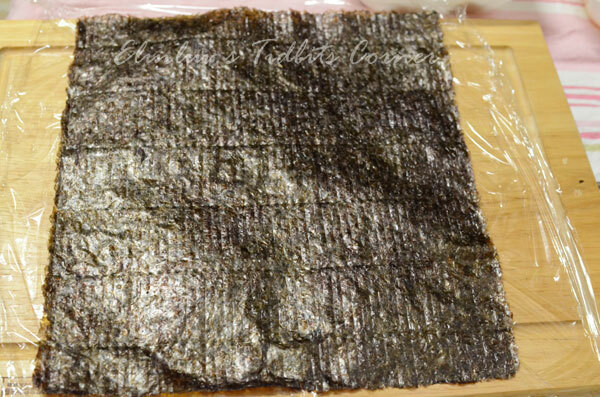 will make this step easier because the nori will hold together better. from things like kids dropping their lunchbox, etc. 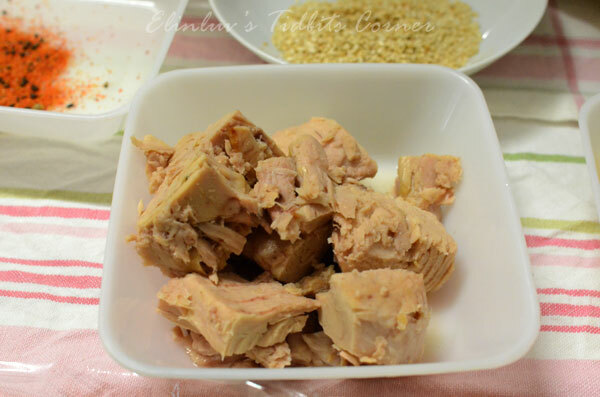 Steps on how to make the tuna onigirazu please refer to the photos above.